1. Learn Medicare lingo and basic structure. 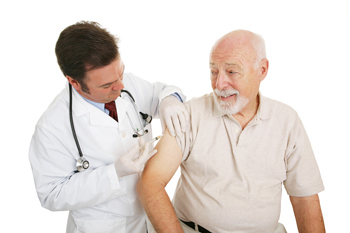 Medicare & You and Choosing a Medigap policy. These guides go into detail explaining how Medicare works as well as the meaning of commonly used Medicare terms. Another resource is a division of the NC Department of Insurance, SHIIP (Seniors’ Health Insurance Information Program) which has counselors and classes available to assist Medicare beneficiaries. They can be reached at 1-855-408-1212 or www.ncshiip.com for additional details. Medicare Part A covers part of your expenses for inpatient hospital care, skilled nursing facilities, hospice and home health care. Medicare Part B covers part of your expenses for services received from your doctors and other health care providers as well as hospital outpatient care, durable medical equipment and some preventative exams. Most individuals or their spouses have paid Medicare taxes long enough that they are not charged for Part A. The majority of individuals do have to pay for Part B. Most beneficiaries who became Medicare eligible in 2017 were charged $134 per month. Medicare Part C is another name for Medicare Advantage or Health plans. They are marketed by Medicare approved private insurance companies and must adhere to rules set by Medicare. In addition to covering all the services offered by A and B, they usually have prescription drug coverage. These plans sometimes have additional services not covered by original Medicare like free gym memberships or discounts on over the counter drugs or hearing aids. Medicare Part D is also known as Medicare prescription drug coverage which helps cover the cost of prescription drugs. These plans are sold by Medicare approved private insurance companies, and like Medicare Advantage plans, must adhere to rules set by Medicare. 2. Understand your timelines and enrollment rules. To avoid a break in coverage and allow time to consider your choices, the best time to start shopping for Medicare insurance is three months before you turn 65. Even if you or your spouse still have health insurance from an employer you may want to make comparisons. Please note: Enrolling in COBRA can be a costly Medicare mistake. For more information, see my post on this topic from August 2017:https://hisonc.com/hisonc-blog/. Although you can sign up for Part B the month you turn 65 as well as three months after you turn 65, waiting can cause you to go without coverage. If you have employer coverage often you can wait until you or your spouse retires and loses coverage to enroll in Part B. To enroll in either a Medicare Supplement or Advantage plan you must be enrolled in both Medicare Part A and B. The timelines for purchasing a Medicare Supplement are different than those for enrolling in a Medicare Advantage or Stand-alone Prescription Drug Plan. With either of these plans you must enroll 3 months before you turn 65 (a long as you have enrolled in Part B) the month you turn 65 or 3 months after you enroll in Part B. You can purchase a Medicare Supplement anytime once you have Medicare Part A and B. However, if you wait longer than six months after you turn 65 and have enrolled in Part B, the insurance company will put you through medical underwriting. This means they will examine your medical records before selling you a policy. If they decide you are likely to be expensive to insure they can decline you, charge you more or make you wait for your coverage to begin. This also means you can switch to a Medicare Supplement with another insurance company after your initial election period, but you will have to go through medical underwriting. With both Medicare Advantage and Stand-alone Prescription Drug Plans you can change plans each year during Open Enrollment (October 15th though December 7th) without any medical underwriting. If you change your new plan will be effective January 1st of the following year. Even if you don’t currently take prescriptions you should make sure you have prescription drug coverage. As we all know, life is unpredictable. If you go without drug coverage and then enroll in a plan later you are likely to pay a late enrollment penalty that will last as long as you have drug coverage. 3. Decide whether you want a Medicare Advantage or Medicare Supplement. Simply put, when you enroll in a Medicare Advantage plan you turn the management of your Medicare over to a Medicare approved private insurance company. Although you can enroll in a Medicare Advantage plan without drug coverage, most have this coverage. A Medicare Supplement covers the gaps that original Medicare does not cover. How much they cover ranges from the plan F that covers 100% to the High Deductible F which has a $2,200 annual deductible. There are 11 types of plans to choose from. Unlike the Medicare Advantage plans they do not include drug coverage and this means you must obtain your prescription coverage by enrolling in a separate stand-alone drug plan. Are you planning to move in the near future or do you travel to a second home frequently? Medicare Supplements can be taken to other states and are accepted by any provider who accepts Medicare. If you enroll in a Medicare Advantage plan and move to another state or county you are likely to be required to enroll in another Medicare Advantage plan. Do you rarely go to the doctor? If so a Medicare Advantage will likely be a way to keep down your insurance costs. Do you have a medical condition that will require expensive surgery or frequent trips to doctors or specialists? If so a Medicare Supplement with a low or no deductible might be your best option. Are you willing to go to only doctors, specialists, medical providers within a specified medical network? If so you should consider a Medicare Advantage plan. Otherwise, a Medicare Supplement is probably your better choice. 4. Once you decide between a Medicare Supplement or Advantage plan it’s important to know what questions to ask to choose the correct plan. Is my primary care physician in network with this plan? See my blog, “New to the area and need a doctor” if you need a primary care physician or specialist in the Research Triangle area. Are my preferred hospitals and specialists in network with this plan? If the plan you choose is a PPO (Preferred Provider Organization) you can go out of network but unless it is an emergency you will pay more for medical services. What are the copays for doctor and hospital visits? What is the annual out of pocket maximum? Does this plan require that I get a referral from my primary care physician (PCP) before I visit a specialist? HMO (Health Maintenance Organization) Medicare Advantage plans will not pay for out of network medical procedures unless it is an emergency. Some will not pay for a visit to an in network specialist without a referral from a PCP. What is the star rating? CMS issues star rates based on administrative results, clinical outcomes and plan member surveys. The highest rating is 5 stars. Does this plan offer extra benefits such as discounts on hearing aids, dental or vision benefits and over the counter drugs or free gym memberships? 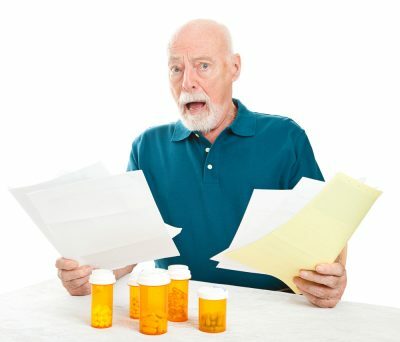 What deductibles or percentage am I required to pay for medical services after Medicare pays? Does this plan offer household discounts? Some insurance companies offer discounts as high as 12% if you are married or have been living with someone who is age 50 or older for at least 12 months. Are there extra benefits such as free gym memberships, discounts on over the counter drugs, dental or vision benefits or discounts on hearing aids? Are all my prescription drugs in the formulary of this plan? Does the drug plan have a deductible? If so, is it on all drugs or only the more expensive ones? What co-pay or percentage do I have to pay for each of my drugs? Is my pharmacy a preferred pharmacy with this plan? If not which pharmacies are preferred? What is the CMS Star rating? 5. Learn to use the tools like Medicare.gov to help you find a prescription drug plan or Medicare Advantage plan. By entering your prescription drugs and preferred drug store into Medicare.gov you can determine the monthly premiums of the plans that have your drugs in their formulary. This site provides details about each plan to help you make your decision. It has reports that predict if you will enter the donut hole and if so it estimates the month. See my blog for more details about the donut hole (or coverage gap). 6. Finally, find an experienced Medicare insurance broker who represents insurance companies that market Medicare Supplements, Advantage and Prescription Drug policies. The definition of a “broker” is an independent agent who represents numerous insurance companies. If you do a good job choosing your Medicare insurance broker you can skip the first five steps and still find the Medicare insurance that is right for you without too much effort. A broker takes your information and plugs it into various tools to develop a few good choices for your Medicare insurance. Then they provide comparisons of these choices and make sure your questions are answered so you can feel confident with your final decision. They also assist you with completing the application(s). Since Medicare brokers are paid by the companies they represent you normally pay nothing for their expertise. Once you are enrolled in one of their plans they continue to be available to answer your questions. If you don’t currently have a Medicare broker or know someone who can help you find one, you can get help from the National Association of Health Underwriters’ website. This is an association for health insurance professionals. Go to their website at www.nahu.org and click on the “Looking for an agent?” link at the top of the main page. Of course, your search need go no further than this blog post. As you consider your options for Medicare insurance, feel free to reach out to me to have all your questions answered. Call my office at 919 845 6001, cell at 919 740 6534 or send me an email at wanda@hisonc.com. The companies I represent include Aetna, BlueCross BlueShield of North Carolina, Cigna, Companion Life, Coventry, Envision, Government Personnel Mutual, Humana, Mutual of Omaha, SilverScript, Thrivent and United Healthcare.